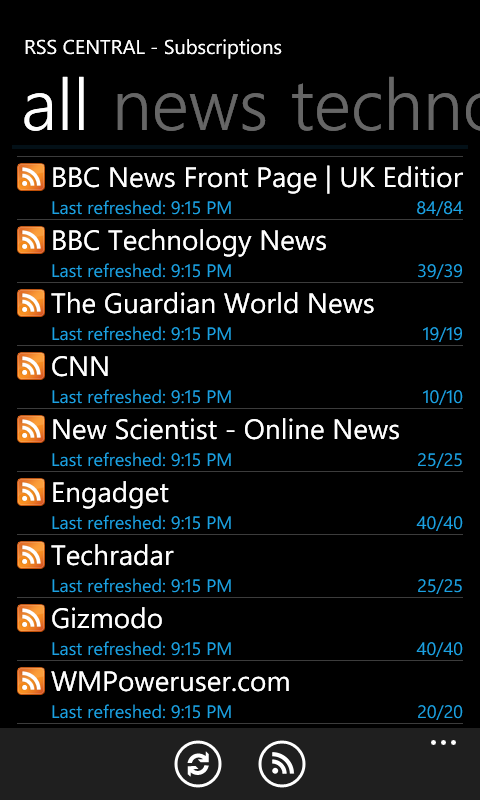 The latest version of the the RSS reader application RSS Central has now been released to the Marketplace. RSS Central provides a fast, feature-packed and attractive way to access up-to-date news from your favorite sites. The app comes with preset list, but you can customize the list to add your favorites. turbo-charged RSS feed downloads. Even with a basic GPRS connection, your feeds will be ready in no time. powerful search facility to help you discover new feeds to view, or enter the URL of any specific feeds that you want to add. all downloaded articles are stored locally and can be accessed even if you lose your internet connection. easily track which articles you have read, including the ability to mark all articles in a feed as read or unread, or even whole groups of feeds together. a flexible “keywords” feature which helps you to easily locate articles that contain subjects that you are interested in. import and export subscriptions in .opml format using DropBox. a “refresh at launch” option that automatically updates all your subscriptions each time RSS Central is opened. support for sending articles by email, text message, or to your Instapaper account for later reading. support for international character-set encodings including Windows-1250, Windows-1251, Windows-1252 and ISO-8859-2. all new icons and splash screen to help make the app even more pleasant to have around! 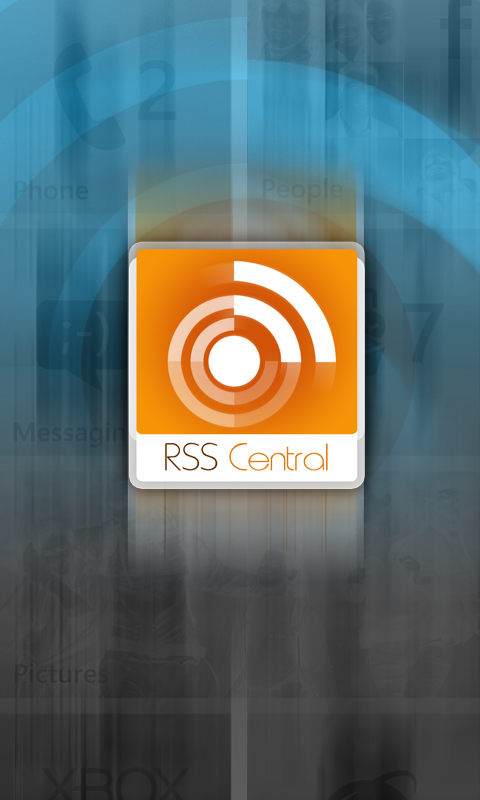 RSS Central is available from the Marketplace priced at just $1.29 (Zune link). It has a trial mode which is completely unrestricted, simply displaying a “nag” message every little while.